College applications are inefficient. 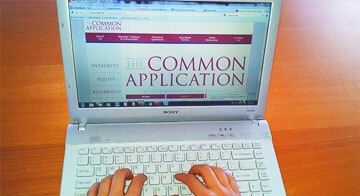 The online application process has made it easier than ever to apply to college, but at the cost of student engagement. Is there a solution to the inefficiency problem? Cue Jeffrey Selingo and his article in The Washington Post. Perhaps intended to start a national conversation about the modernization of college admissions, Selingo details the outdated nature of the traditional college admissions process. Big data could play a major role in changing the college admissions game. Colleges could mine data that schools, parents, and students make available, and thus simplify the recruiting process. Selingo suggests that the new college admissions could be similar to networking on LinkedIn. What do you think about the future of college admissions? We would love to hear your thoughts in the comments below.